Your ideal wedding spot in picturesque Savannah awaits. 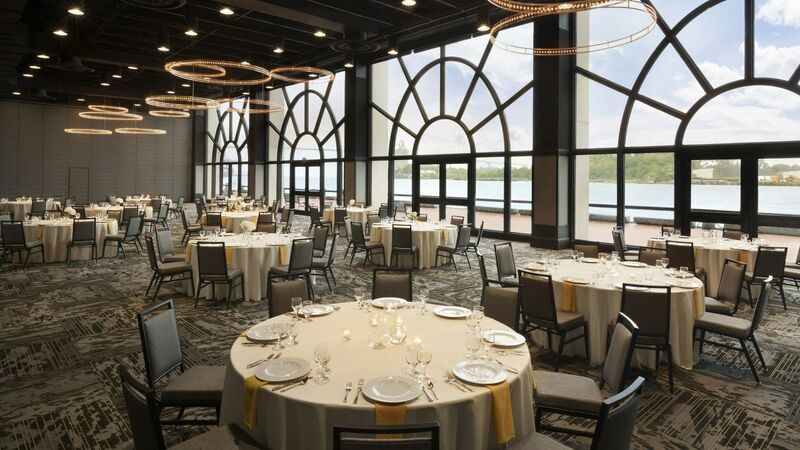 Choose a river view, indoors or out, from our 33,000 square feet of event space. 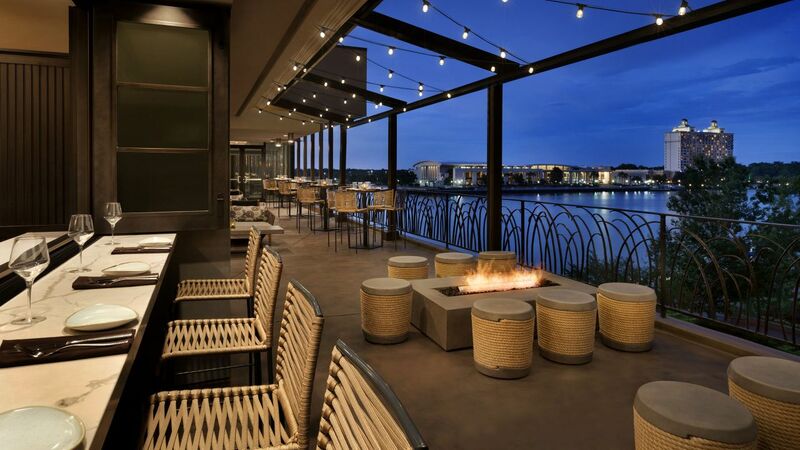 You'll experience all the city's charm when you stay on historic River Street. 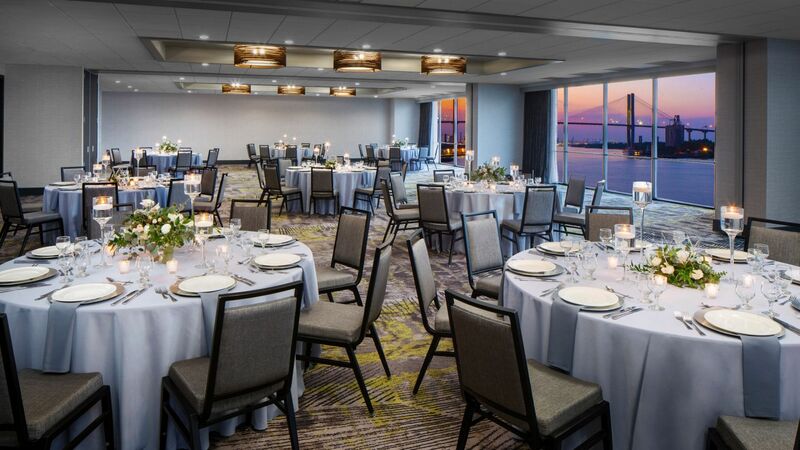 Dream big for your wedding, and our planners will make it a reality—from rehearsal dinner to farewell brunch. To get started today, call (912) 721-4670 or email SAVRS-rfp@hyatt.com. Event specialists help carry out your vision, from decor and floor plans to menus and vendors. We offer a fully adaptable dance floor and on-site experts for custom audiovisuals and lighting. Enjoy convenience and extra time with guests at a pre- or post-wedding event held on site. 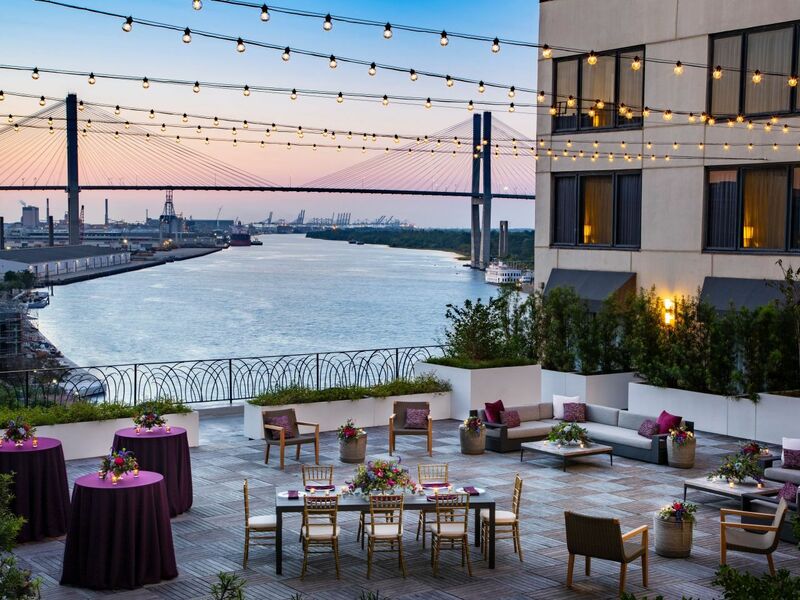 The scenic Savannah River serves as a romantic backdrop to our opulent ballrooms and sunlit terrace. Our menus blend sophisticated cuisine and regional favorites. 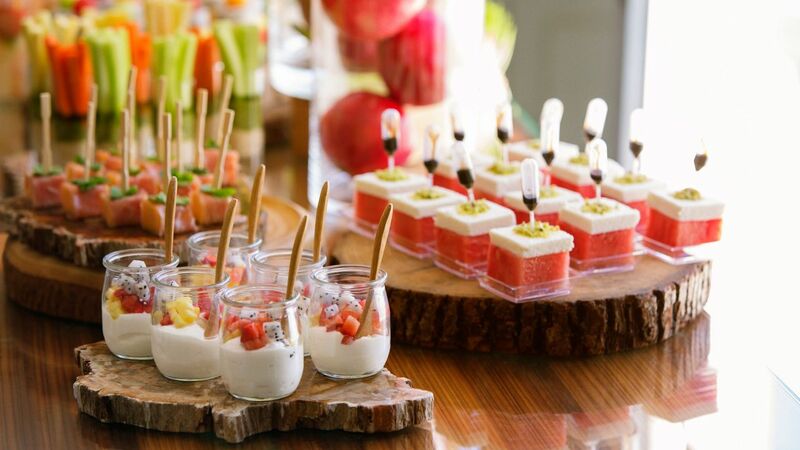 Choose a format to suit your style, ranging from cocktail reception to buffet, or give your guests a choice of plated entrees with Hyatt Personal Preference Dining®. Generally, a wedding reception is planned for four hours. You can extend the time if desired. 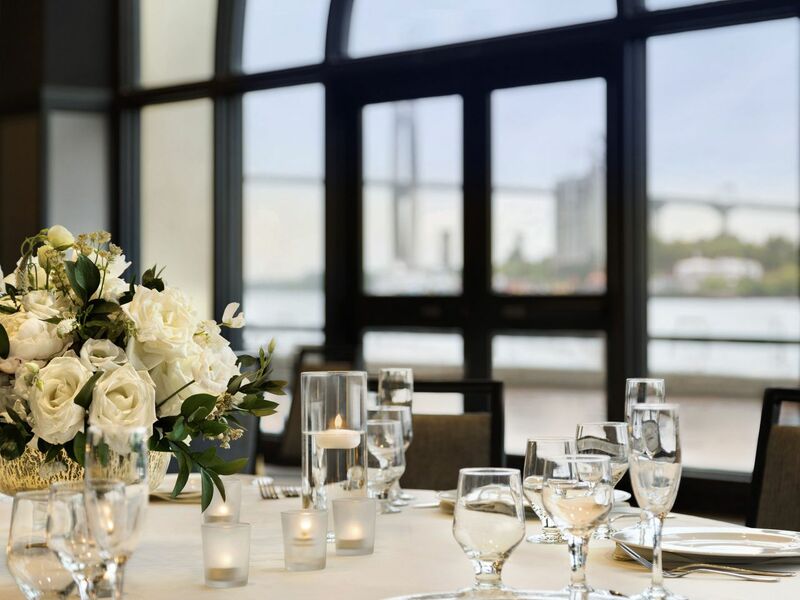 Hyatt Regency Savannah is happy to provide a comprehensive list of professional wedding vendors in the Savannah area. 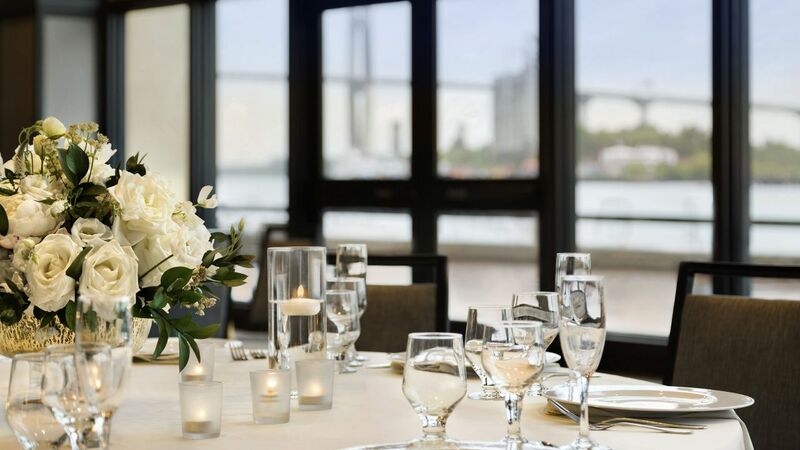 Can I host a morning-after brunch or a rehearsal dinner at the Hyatt Regency Savannah? No, your contract pricing will not include all taxes and gratuities. All Food and Beverage is subject to a Service Charge and Sales Tax. Please remember, pricing is not final until a signed contract is returned to your wedding specialist. 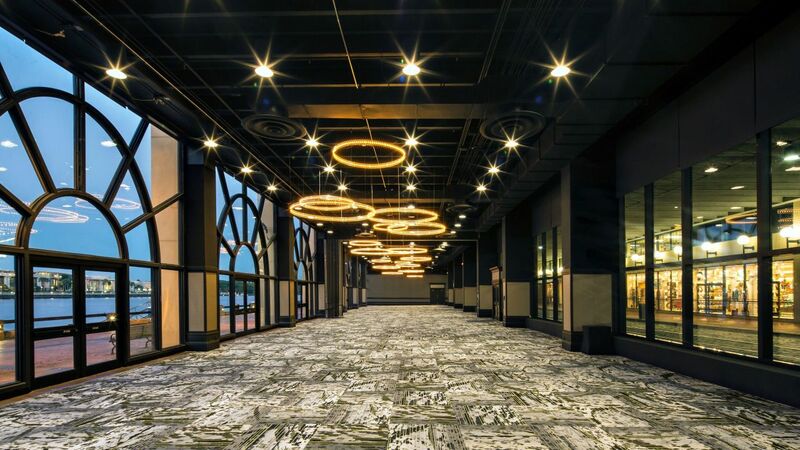 We will try and accommodate your guests' requests; however, this will be dependant upon the overall occupancy of the hotel on the day in question. Generally, yes. There will be certain limitations in some rooms, which your wedding specialist can review with you. Allow us to give you ideas and suggestions that have successfully worked in the past.